Motor Cycle News - I Say Ding Dong Shop - Buy Stickers, Decals & Unique Automobilia. 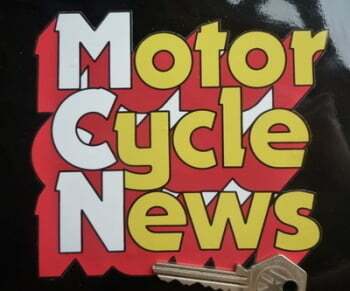 Motor Cycle News Shaped Sticker. 5.75". 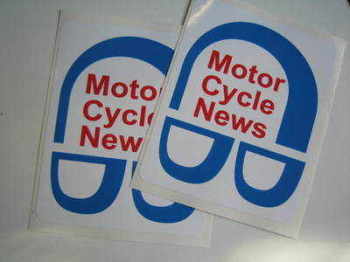 Motor Cycle News Stickers. 3.5" Pair. 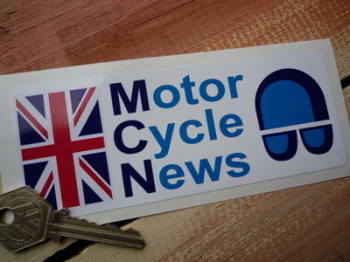 Motor Cycle News Union Jack Oblong Sticker. 5.75". 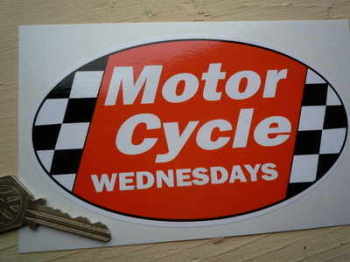 Motor Cycle Wednesdays Stickers. 6" Pair. 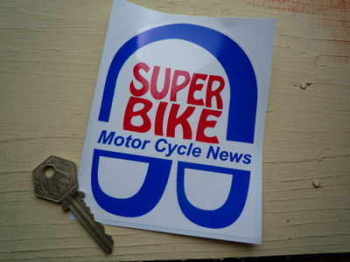 Super Bike Motor Cycle News Groovy Stickers. 4" Pair. 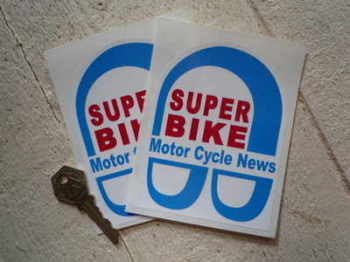 Super Bike Motor Cycle News Stickers. 3.5" Pair. 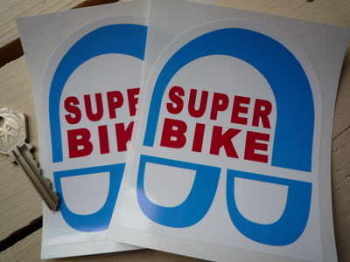 Super Bike Stickers. 3.5" Pair.